Wash the tomatoes, grate and drain. Grate the onion and chop the parsley. Mix together and then add the flour, olive oil, salt, pepper, mint and three lightly beaten eggs to make a thick batter. Fry spoonfuls of the mixture in olive oil and allow to drain on absorbent paper. Cut the pastry the shape of your choice, stick the two sheets together with olive oil, sprinkle with sesame seeds and bake in the oven until golden brown. 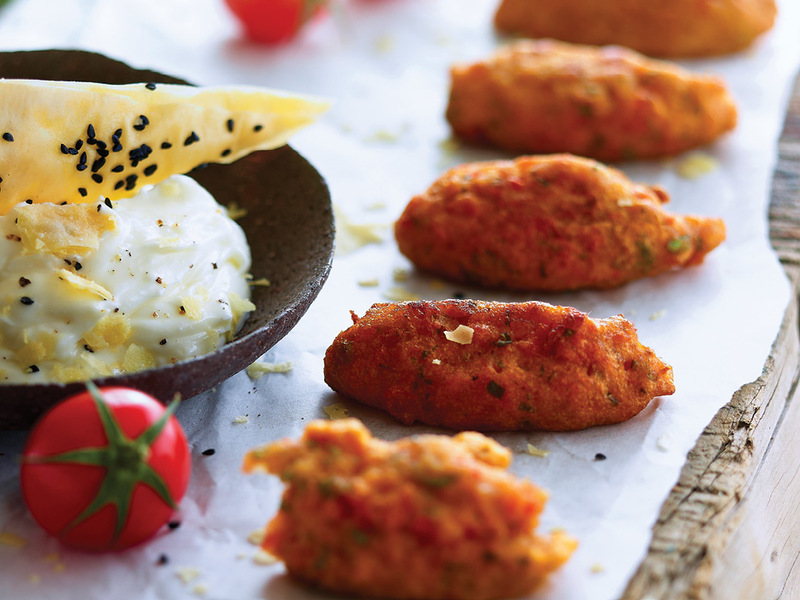 Serve the fritters with the phyllo pastry and anthogalo cream.